"You probably have read many of the the negative articles regarding the comments made by Bob Costas concerning gun control. I thought you would enjoy reading an interesting column by sportswriter Andy Martini which appeared in the New York Daily News on December 23, 2012." As usual, your comments and views are welcome. There is an old cliche, insulting and persistent, that many people affix to sports and the coverage of it: The Toy Department. This formulation assumes that the games provide a break from reality and complexity, from race, class, violence and other social issues. They do not. Only the morally blind can use sports as a vacation from the world. This is why my heroes are the people who utilize their platform for good and direct their audiences toward matters more urgent than wins, losses and hot stove action — and why my New York Daily News Sportsperson of the Year is Bob Costas, for his use of a Dec. 2 NBC “Sunday Night Football” broadcast to call for increased gun control. The debate has dominated our national conversation since the tragedy in Newtown, Conn., but Costas made his comments in response to an earlier tragedy, the murder-suicide committed by Kansas City linebacker Jovan Belcher. 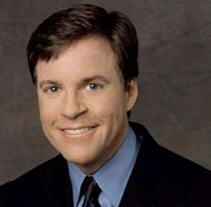 In the days after Costas’ halftime editorial, pundits such as Rush Limbaugh and Bill O’Reilly helped fuel an intense brushfire of criticism, some of which called for Costas to be fired. How dare he violate our beer-and-wings escapism, and remind us that we cannot ignore the issues that sports so often raises? My complaint about Costas and other prominent voices is the opposite: They fail to use their platforms for good often enough (no moral high ground here; I turn that same complaint on my own coverage). In the 1960s, it was common for athletes, from Muhammad Ali to Curt Flood to Billie Jean King and many others, to view their day jobs as opportunities to drive social change. In turn, journalists such as Robert Lipsyte of the Times and Howard Cosell were happy to highlight the sociological currents running underneath every game. The overall impact (or so I hear from those who were alive then) was to create a culture around sports in which meaningful discussions were not taboo. Today’s climate is poisoned by fantasy football and “First Take,” and social issues are anathema. Costas’ brief commentary, which merely summarized with approval the words of columnist Jason Whitlock, should not have been a bold stroke. But in the shallow sports debate that defines our time — when Mark Sanchez’s regression is more important than NFL concussions, and R.A. Dickey’s trade to Toronto is discussed with greater urgency than his advocacy for victims of sexual abuse — Costas’ actions were significant. He displayed real bravery in raising an issue when millions of Americans were watching, and absorbing the vitriol that followed. Others have done the same in the aftermath of Newtown, including our Mike Lupica, and Syracuse basketball coach Jim Boeheim. In those moments, Costas, Lupica and Boeheim made contributions immeasurably more important than Eli Manning during a clutch fourth quarter or Johan Santana in the final at-bat of a no-hitter. If only briefly, they restored sports to what it needs to be: A chance to make the world a better place, because the world is watching.